The smartwatches, which contain a SIM card and contain some telephone functionality, are controlled via apps. According to the Federal Network Agency, these apps can be used to make the watches call a desired number unnoticed by its wearer – allowing conversations to be eavesdropped upon. Such behaviour is prohibited in Germany. And the country isn’t the only one concerned about the capabilities of children’s wearable technology. 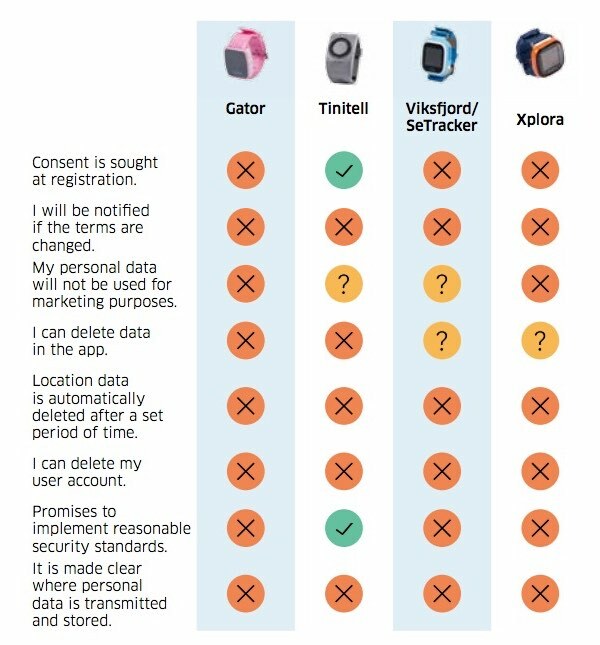 For instance, last month the Norwegian Consumer Council (NCC) published its report into the security and privcy of the Gator 2, Tinitell, Viksfjord, and Xplora smartwatches marketed at children, and urged consumers to “think twice” before buying them for children. In the NCC study, some of the smartwatches were found to be vulnerable to man-in-the-middle attacks, and could put privacy at risk by sending unencrypted personal information about a child’s location to Chinese servers. Germany’s Federal Network Agency has gone further, however, outlawing the entire category of kids’ smartwatches rather than just criticising specific brands. The move follows increasing concerns about connected toys, such as the My Friend Cayla doll which collects private information about its young owners.